For decades, the name Kenzo has provoked images of a wearable runway duality – garments that are human and street-friendly but not withholding of artistry. Unique patterns, daring lines, and chic resplendence are the markers of the Kenzo brand. But what of Kenzo Takada, the artist? What are his aspirations and inspirations? How does a septuagenarian with such impact in his industry and such global reach, out-innovate himself? What’s next for a man with French and Japanese roots who has traveled the world, presided over the Asian Couture Federation, and dressed the best? In a phrase: going home. 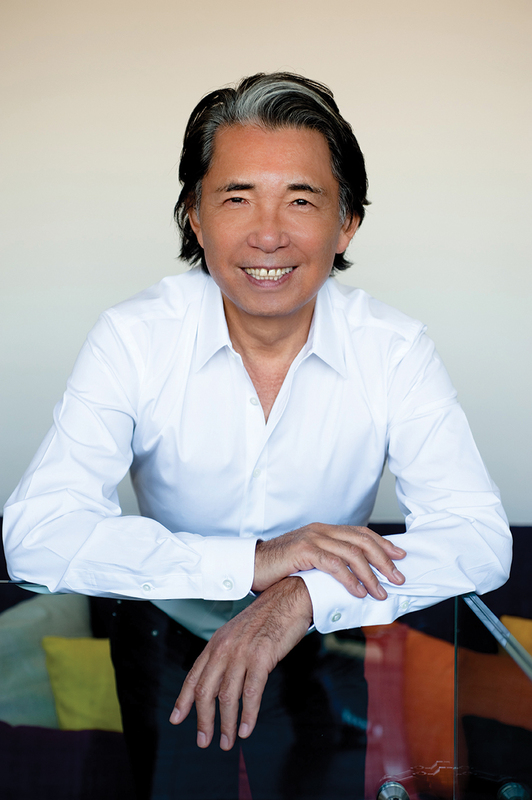 Post retirement, Kenzo Takada has reinvented his craft on repeat, first by launching Gokan Kubo – a proprietary brand of home accents in 2005 and now, in a groundbreaking collaboration with Roche Bobois, a Renaissance brand in the world of furniture and home beautification. The home furnishing collaboration calls upon Japanese influence for a variety of modern objects from earthenware to occasional tables and a hand tufted rug, all of which accent the key element of the collection: three versions of the iconic Roche Bobois Mah Jong sofa. The three sofa variations are called Asa, Hiru, and Yoru, or morning, mid-day, and evening. It is customary in Japanese culture to draw inspiration from nature, particularly the phases and seasons of life and the joie de vivre that can be found in cyclicality by a patient onlooker. Kenzo Takada often draws from his past when dreaming up new designs. The sheen of his Mah Jong designs are reminiscent of the kimonos his mother wore decades ago; Takada uses his own nostalgia to pay tribute to the past. 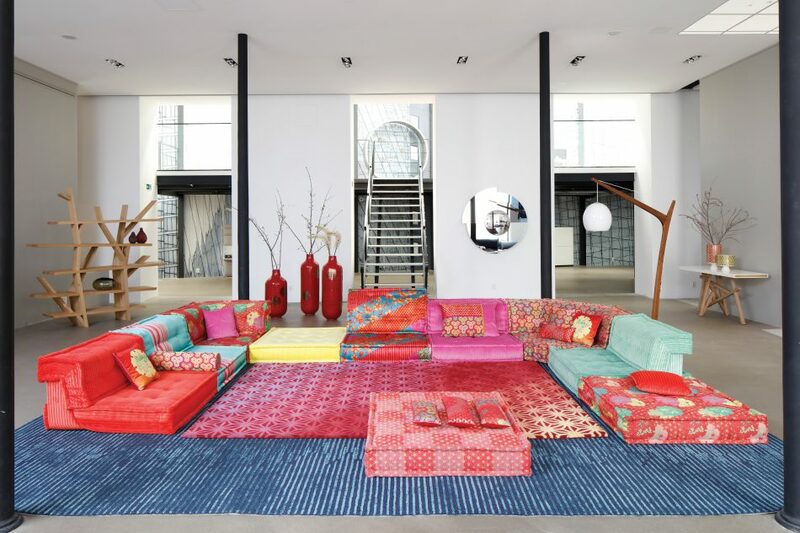 Kenzo’s home furnishing designs hardly desert the nature of his work in fashion. Rather, they serve as an homage to the unpredictable fabrics he rummaged at sales and flea markets as a budding designer – an asynchrony that later became his repertoire. When asked what inspired Kenzo x Roche Bobois, and what inspires his work at large, Kenzo doesn’t reveal any brooding secrets or industry hints. Rather, his answers are simple. He is inspired by Japan and the simplistic, colorful beauty there. He is inspired by coherence and harmony, as evidenced by his fashion collections of yore, wherein every element – a texture, a color, or a shape – should coincide purposefully with every other. He is inspired by telling a homogenous story, one more timeless than trendy. 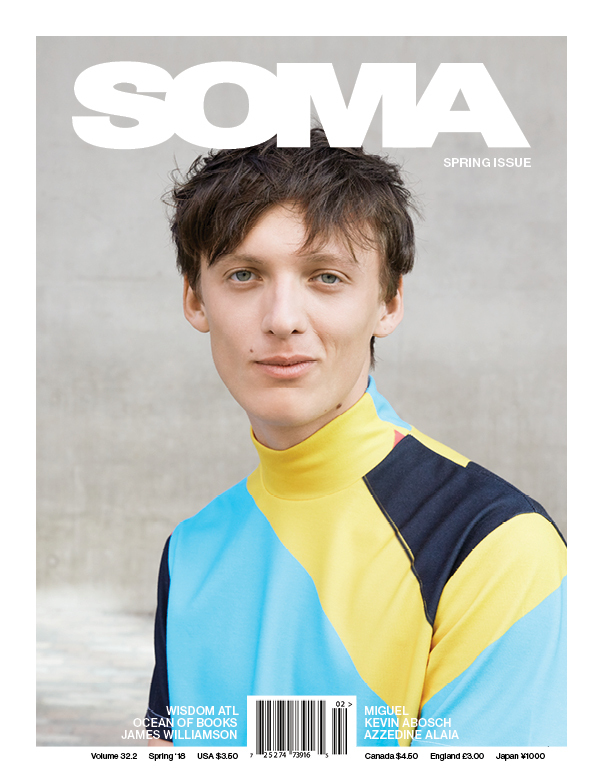 Finally, he is inspired by his own experiences and senses – the conversations he has, the films and books he ingests, and the art we find everywhere around us. Kenzo is a man who is both French and Japanese, both embalmed forever in the world of fashion and emblazoned in the latest brochures of prolific and desirable home furnishings, both retired and very much at work. How does a man of such duality balance the two sides of everything he does? According to Kenzo, many of his processes – such as designing clothes versus designing furniture – are the same save technicalities. He draws from the same sources of inspiration, pursues similar aesthetic cohesion, and traipses through the same languid and diverse fabrics for which he has long been known. From Kenzo’s work, we can all experience his kind of duality, whether in the clothing we wear or what we express within our homes. In this way, we experience for ourselves his nostalgia and the harmony his designs engender.